We live in a litigious world where people often file claims against businesses that they believe have deep pockets. If a claim is valid, the attorneys at St. Denis & Davey can help you resolve it efficiently through a settlement, but we are also experienced at providing aggressive trial representation when you are justified in fighting a plaintiff who is suing your business. If you need an auto dealership attorney or guidance in any type of consumer law or personal injury action, our Miami defense lawyers are available to protect your interests with tenacity and zeal. We also represent clients in Jacksonville, Tampa, Orlando, Panama City, and other Florida cities. We handle lawsuits involving personal injury claims alleging premises liability, product liability, medical malpractice, and other theories. In Florida, businesses often find themselves being sued for accidents that allegedly occurred on their property. While it is true that property owners are required to keep their premises in a reasonably safe condition, they cannot be insurers of their customers' safety. Visitors to someone else's property are expected to exercise reasonable care in avoiding open and obvious dangers. In many cases, moreover, property owners could not have been aware of a condition before the accident occurred, and when this happens they should not be held responsible. Also, it may be appropriate to defend against a premises liability claim by arguing that the victim was not lawfully on the property or in an area of the property that they should not have been in when the accident happened. We also frequently handle product liability claims on behalf of automobile dealers and others who have been sued for alleged injuries arising from defects in tires, brakes, or other automobile parts. Defects may exist in the manufacture, design, or marketing of a product. In Florida, a company in the distribution chain may be held liable if a plaintiff can prove that there was a defect in the product when it was sold and that it caused harm when it was used in a foreseeable way. However, sometimes misuse rather than a defect causes an injury, and in other cases, the injuries associated with a defective product may be overstated. In some circumstances, an accident may have resulted from a defect in a product made and distributed by parties other than the party that the plaintiff sued, in which case your business may not be liable. Sometimes a patient or the patient’s family will sue a health care provider out of frustration that a procedure did not result in the outcome that they had anticipated. This is often not the result of carelessness or misconduct, but instead the result of known complications that arose during the procedure. There are many ways to defend against medical negligence claims, such as procedural grounds like the statute of limitations or the introduction of expert testimony that explains why the defendant complied with the appropriate standard of care. 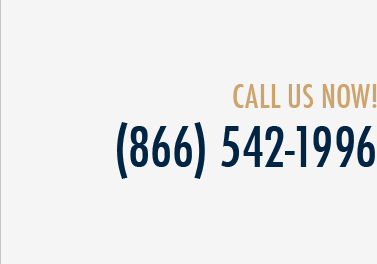 At St. Denis & Davey, we also defend against consumer claims, providing representation to auto and boat dealerships, manufacturers, and other entities in claims brought under the Magnuson-Moss Warranty Act, the Deceptive and Unfair Trade Practices Act, or other federal and state laws. We are experienced in defending against both individual claims and class actions. Under Magnuson-Moss, manufacturers and other parties that sell consumer products are required to offer consumers detailed information about warranty coverage for goods purchased for individual or household use. However, the Act does not require businesses to provide warranties, and it does not apply to oral warranties, warranties on services, or warranties on products sold for resale. Alternative dispute resolution methods like arbitration often play a role in resolving these disputes. We can guide you through the arbitration process in addition to representing you vigorously in court. We also defend dealerships against claims brought under Florida's Deceptive and Unfair Trade Practices Act (FDUTPA). Both individual and class action lawsuits may be filed under this law, which prohibits companies from using unfair methods to compete or engaging in unconscionable acts or practices while involved in trade or commerce. A per se violation of FDUTPA occurs if an entity’s actions violate a specific guideline set forth by statute, ordinance, or rule. In those cases, the appropriate approach may be to limit damages. However, in many cases, an alleged violation requires analysis by broader standards of "unfairness" and "deception," and a business may have more room to fight a plaintiff’s claims on substantive grounds. In class action lawsuits, a number of people who claim to have suffered the same types of harm may join together to sue an entity. These lawsuits may result in substantial liability for a defendant if they are successful. However, a class action may only be maintained if the court concludes that there are so many members of the class that separately joining each party is impracticable, the claims or defenses of the representative party raise legal or factual questions common to each class member, the claims or defenses of the representative party are typical, and the representative party is able to fairly and adequately represent each class member’s interests. Other requirements must also be met. In many cases, a defendant can argue that a putative class fails to meet the requirements for certifying a class. For example, the person who claims to be the representative party may not have claims that are adequately similar to those of the class as a whole. Or the claims may require so much individual factual or legal analysis that there is insufficient commonality to maintain the class. 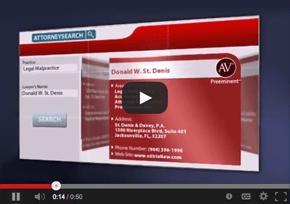 The Miami defense attorneys at St. Denis & Davey have a reputation for providing skilled representation to businesses that are fighting against personal injury and consumer claims, both during the settlement negotiation process and at trial. We also are available to represent entities that need an employment defense attorney or guidance in franchise litigation. We represent clients throughout Florida, including in Jacksonville, Tampa, Panama City, and Orlando, as well as in other states like Georgia, Alabama, Kentucky, Ohio, and Virginia. Call (866) 542-1996 or use our online form to schedule an appointment to discuss your needs.